Activist poet Ericson Acosta, who was formally freed from government detention on Tuesday, pledged to lead a national campaign to free all political prisoners in the country. 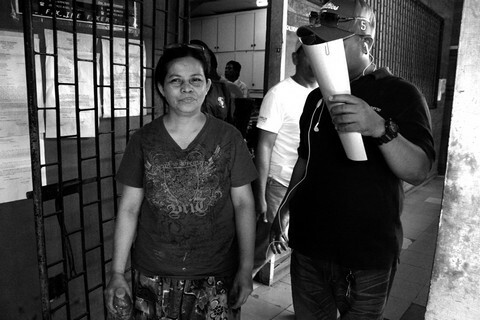 Acosta, 40, was released by Bureau of Jail Management and Penology guards to his family, friends and lawyers at the National Kidney and Transplant Institute in Quezon City, where he had undergone surgery after a Samar court ordered his temporary release two weeks ago. The Department of Justice last week withdrew the illegal possession of explosives case against Acosta for lack of probable cause, and on Monday the court hearing the charges also dropped the case. “I am in high spirits as I return to the ranks of cultural workers and mass activists for national democracy. Our fight for human rights and justice amidst the climate of impunity in the country is even more pressing today, and it is a compelling reason for our unity and action. I will continue to call for a general, omnibus and unconditional amnesty for all political prisoners,” Acosta said in a statement. In a phone interview, Acosta said he was not ruling out returning to Samar, where he was arrested by the military in February 2011 while engaged in volunteer research work for a local peasant group. The military claimed Acosta was a top-ranked officer of the communist New People’s Army. 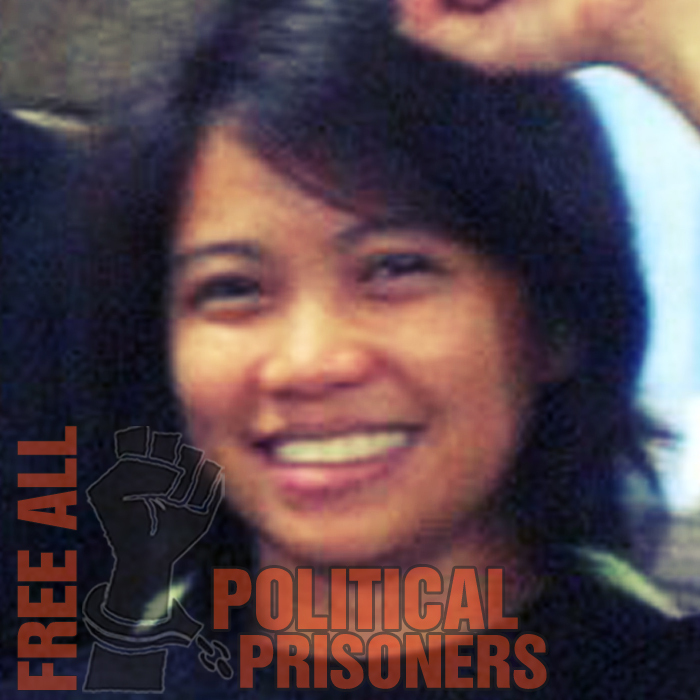 “There are many political prisoners in Samar and other Eastern Visayas provinces. I promise to do all I can to help them secure their freedom,” he said. He said he was also eager to spend time with his wife and son and to personally attend to the needs of his ailing parents. Acosta accused the military of trying to “vilify and demonize” him by spreading online photos that showed him carrying an Armalite and dressed like a rebel. “These are obviously doctored,” he said, recalling that shortly after his arrest, his captors snapped pictures of him “every 30 minutes” and also seized photos stored in his laptop. He denied the military’s accusation that he was a communist rebel leader plotting to overthrow the government. Newly released poet Ericson Acosta sings his own songs in a warm reception by his family, colleagues, and friends at the Bagong Alyansang Makabayan office in Quezon City, Tuesday, February 5, 2013. MANILA, Philippines — (UPDATE 2 – 1:42 p.m.) Close to two years after he was arrested and detained by authorities who accused him of being a communist rebel leader, cultural worker and former UP Collegian editor Ericson Acosta is officially a free man once more. Acosta, 40, left the National Kidney and Transplant Institute in Quezon City, where he was confined since January 18, shortly after noon Tuesday. “The message is that one cannot continue disrespecting rights of the people and cover it up with legal fiction without being held accountable sooner or later,” the NUPL said. On Monday, Judge Feliciano Aguilar of Regional Trial Court branch 41 in Gandara, Samar dismissed the illegal possession of explosives filed against Acosta and ordered him released. And on Tuesday, RTC branch 41, the 9th Judicial Region and the Samar provincial prosecutor’s office issued certifications that Acosta has no other pending case. Acosta was confined at the National Kidney and Transplant Institute after the court granted the request of Public Attorney’s Office chief Persida Rueda-Acosta for the immediate treatment of his kidney condition. Last week, the Department of Justice granted Acosta’s motion for review of his case and ordered the Samar provincial prosecutor to withdraw the charges filed against him. 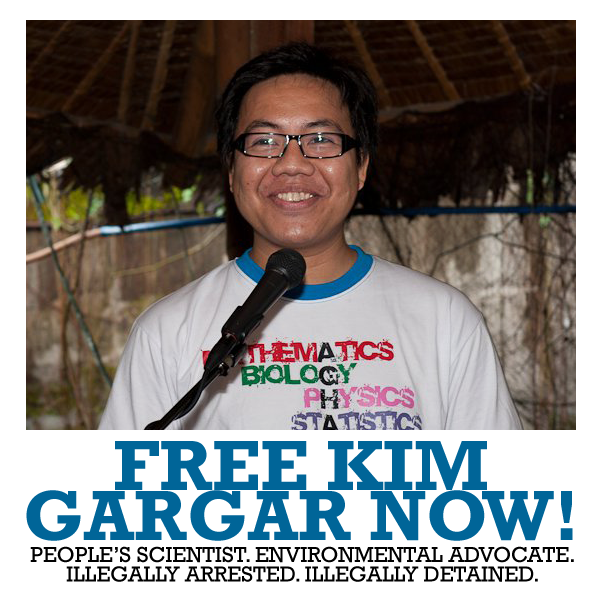 Acosta was arrested February 2011 in Samar by the military, which filed the charges against him. But his family and supporters have called the charges trumped up and maintain he was conducting research when he was captured. “My incarceration brought me face to face with the grim conditions in prison, and the dismal state of our justice system,” he said. The campaign to free Acosta gained support from cultural, human rights and free expression groups worldwide. With the recent findings and resolution of the Department of Justice (DOJ) to withdraw information against detained poet-artist Ericson Acosta, “it is in incumbent upon the Aquino government to file charges against the members of the 34th IB for violations of RA 7438, rights of persons arrested, detained or under custodial investigation,” said Cristina Palabay, secretary general of Karapatan. Karapatan said Ericson Acosta’s case shows the all-too-familiar violations committed by Aquino’s Armed Forces of the Philippines against activists and ordinary folks they encounter in the course of their “counterinsurgency” campaign: warrantless arrest; the right to be informed why he was arrested; denial of the right to counsel and to inform his family; prolonged interrogation and torture; planted evidence; detention in a military camp, among other violations. An operative of the Regional Intelligence Unit of the National Police covers his face as he accompanies suspected NPA member Aniceta Rojo who was presented to the Regional Trial Court Branch 60 in Cadiz City where she and 24 others have been charged for the death of an Army lieutenant.